Building Trust was developed as a bioethics research initiative designed to address the underrepresentation of many minority groups in research. A main goal set forth by the Building Trust project was to create training and educational programs designed to increase the participation of minorities in public health and biomedical research and to strengthen the capacity of researchers and community members to work effectively with each other. 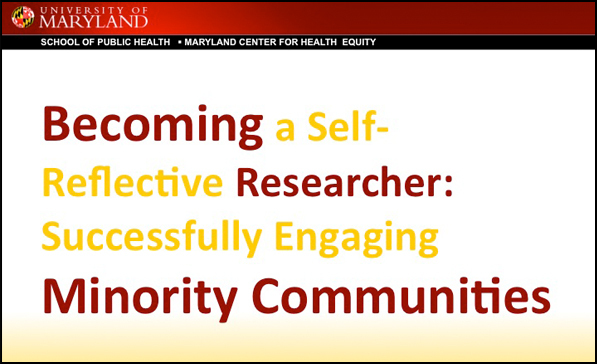 We have developed two curricula to help achieve this goal, one for community members — entitled Enhancing Minority Engagement in Research and represented on this website — and one for investigators, research staff, and IRB members — entitled Becoming a Self-Reflective Researcher: Successfully Engaging Minority Communities. This curriculum is designed for researchers, researcher staff, IRB members, and health professions students. The program will strengthen the capacity of researchers to effectively recruit and retain minority participants in research. Through seven interactive modules, participants will respond to trigger films, discuss complex ethical research issues, and practice skills for enhancing recruitment, retention, informed consent, and the development of community partnerships. This facilitator-led curriculum can be used in settings such as academic health centers, health sciences schools, research centers, and government agencies. In this module, participants will examine how social and historical context impact researchers’ engagement with minority communities. Participants have the opportunity to explore two ethically complex case studies. They will analyze the ethical considerations of conducting research with minority populations within the contemporary contexts of racial and ethnic diversity and social justice. Participants will recognize how they can create effective discussions within their research team and with minority communities in order to stimulate openness to research. In this module, participants will examine the importance, benefits, and challenges of community partnerships, and will discuss ways to build these partnerships. This module explores effective and respectful recruitment strategies for use with racial and ethnic minority communities. This module is designed to enhance researchers’ ability to effectively and satisfactorily engage in the informed consent process with racial and ethnic minority participants. 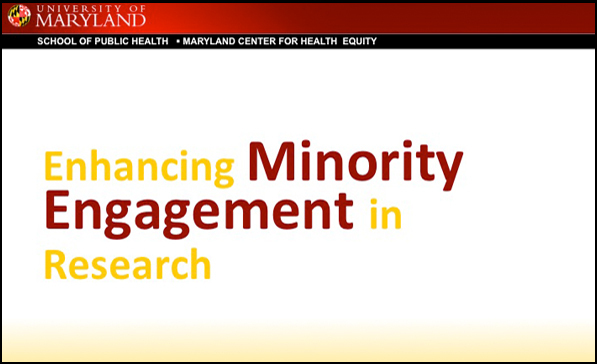 Participants will explore the unique factors that contribute to enhanced retention of individuals from racial and ethnic communities in research. This curriculum was designed for use in minority communities, particularly those whose residents experience significant health disparities. The program will help participants understand how research can improve public health and eliminate health disparities. The goals of the program are to enable participants to engage with health and medical research in their communities and to make informed decisions about participating in research. The five-module program was designed to be led by two facilitators, and includes various didactic and interactive components. Potential audiences include civic groups, faith communities, YMCAs/YWCAs, tribal groups, and others interested in learning more about participating in research. The main outcome of this module is for participants to appreciate the contributions of research for improving human health and eliminating health disparities. In this module, participants will recognize how the impacts of past situations of research abuse can affect minority communities today. Participants will learn what information they need and how to get it to make an informed decision about participating in research. Participants learn how to interpret health and medical research results reported in the media. In this section of the curriculum, participants will recognize approaches for getting involved with researchers and research. We have also developed a Multimedia Resource Center that contains a database of information and media used throughout the site and additional resources that contribute to the better understanding of the topics. Who want to empower people from racial and ethnic minority communities to confidently engage with health and medical researchers. Who want to assist people from racial and ethnic minority communities in understanding the risks and benefits of participation in medical and public health research so that they can make an informed decision about participating in research studies. As a researcher interested in this topic, we encourage you to review the Building Trust site and make use of its resources to support these goals relative to your community and your research. The site was designed to be viewed sequentially but each Unit may also stand on its own and users may also like to explore on their own, following their own interests. This site may be viewed individually or in groups, but we encourage facilitated viewings for groups which allow for time for discussion and reflection. For this reason, each page ends with a discussion question. The questions are designed to be a starting point of discussion about the information on the page. A primary goal of Building Trust is to bridge the gap between communities impacted by health disparities and researchers, and we invite you and potential community partners to use this site to start a dialogue. The Building Trust site was designed to give the lay person basic knowledge about research beginning with Unit 1: Importance of Research. The materials is this program have been used specifically to train members of community advisory boards (CAB) but there are many other ways the Building Trust Site can be used to build capacity for anyone beginning a relationship with research in their community – as a participant, community member of an IRB board, or as a worker in a specific project. Whatever their role, the Building Trust site is designed to provide them with the knowledge they need to effectively work with researchers. Research staff, those involved in community outreach and recruitment, will benefit from exposure to the voices of community members that are featured through the Building Trust site. Unit 2: Informed Decision-Making also has important information about research abuses in the past, which will help research staff put their outreach efforts into an appropriate context for the respectful engagement of minority communities. 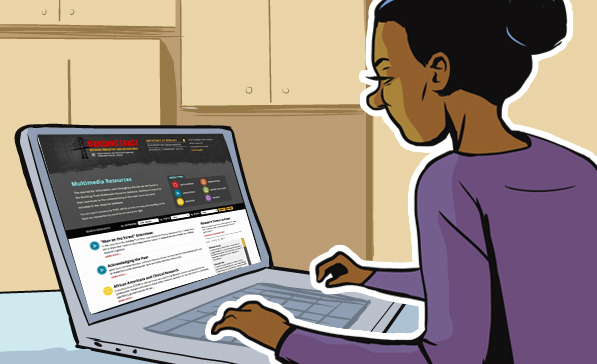 The entire Building Trust site has information to help people get a better understanding of research and its potential to help communities and individuals. Unit 2: Informed Decision-Making, however, has specific information that may empower individuals during the informed consent process. Our research has shown that participants do not always fully understand informed consent even after they have been through the process. Unit 2 has materials such as “Key Questions to Ask a Researcher” and “The 10 Key Elements of the Informed Consent Process” in addition to a glossary of research terms. These resources are directly designed to help to empower community members who are considering participation in a research study. The Building Trust website can be used to build relationships with communities before the implementation of a research project as a way of building a reciprocal relationship based on open dialogue about research. Consider offering a facilitated presentation of the website in community spaces such as churches, community centers or with the support of community based organizations. Unit 3: Research, Community and You is full of ways individuals can get involved. We want to encourage trusting relationships upon which research and improvement in the public’s health can happen.